This How To assumes that you have access to a WordPress site to create your article. Under the Posts menu on the left, select Add New. The title is not relevant at this point, however you will need to add one in. Add something like Guest Post – Target Site Name into the title to make it easier to search for it later. Write your article content using the Visual tab of the editor. 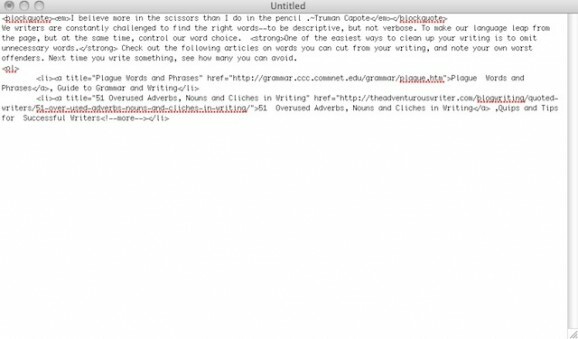 When completed, save your draft and use the Preview option to review how the article looks. When you’re happy with it and ready to send the post to your prospective site owner, proceed to the next step. Open your favourite text editor (I suggest TextEdit on Mac, or Notepad on Windows to avoid any formatting issues). I’ll use TextEdit on the Mac in the example below, however if you use a different operating system or editor, I’m sure you’ll be able to follow the general principle – as long as you end up with a plain text file! Ensure the file is set to Format as Plain Text. 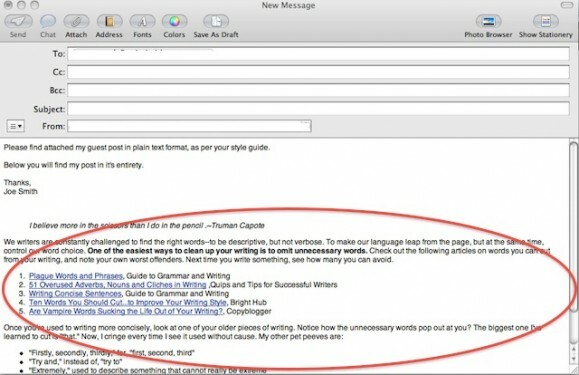 Switch to HTML view (circled on the right side of the screenshot below). Now select all text (Cmd+A on a Mac, Ctrl+A on Windows), and copy it to your clipboard (Cmd+C on a Mac, Ctrl+C on Windows). 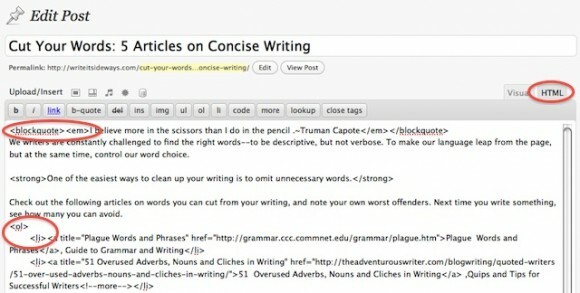 Switch back to your text editor, and paste the copied text. 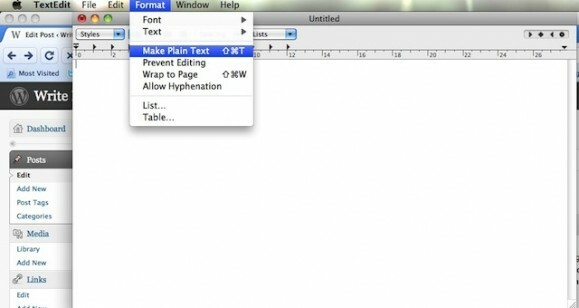 Save the file to your computer, ensuring the file type is Plain Text (.txt). Begin a new email message. Attach the plain text file that you saved earlier to the message. Write your Extremely Convincing Guest Post Pitch. Below your pitch, you’ll need to paste a copy of your guest post to allow for quick and easy review by your target blog owner. Switch back to your Post in WordPress. Make sure you are at the Visual tab in the editor (ie: you won’t see any <p> <li> <blockquote> and similar gobbledegook). Select all text (Cmd+A on a Mac, Ctrl+A on Windows). Switch back to your email message, and paste your post content just below your Extremely Convincing Guest Post Pitch. Now you’re done. Review and send the email, and wait with bated breath for a response!